One of the special speakers we have lined up for the Beer Bloggers Conference is Dustin Woodard, SEO expert from Seattle who is also the VP of Marketing for Beer2Buds. Dustin will give a talk entitled “Beer Blog Site Reviews” in which he will pass on some of his knowledge by reviewing – live – three sites from people sitting in the audience. We asked Dustin a few questions about himself and his talk. 1. Can you give us a quick bio? I’ve been using search engine optimization (SEO) as the primary tool for driving traffic to a number of top-ranked websites in the food, financial and publishing industries for over a decade. Organic search traffic (non-paid search) is very powerful. During my time at Wetpaint and Allrecipes.com we never spent a penny on advertising yet we were able to surpass the 10 million unique visitors a month milestone relying purely on organic search and word-of-mouth. I clearly believe in it as I named my consultant agency SEO Naturale. Outside of SEO, my background includes: blogging professionally for About.com for 7 years, winning a number of marketing awards from Inc and Forbes magazines, judging the annual Webby Awards, filmmaking, and coaching soccer. I have no trouble keeping busy. 2. Have you spoken at other social media conferences and how do you perceive their value to attendees? I have spoken about a varitey of social media and SEO topics at a number of conferences, including: PubCon, Search Engine Strategies (SES), Searchfest, Marketing Profs, DomainRoundTable, ProductCamp, MindCamp and am looking forward to speaking at SMX East in October. For beginners or intermediate marketers, the sessions are eye-opening and highly valuable. For even advanced marketers, the networking and opportunity to spend a couple days focusing on web topics speaking geek with others in similar situations is always valuable. The best secrets I’ve picked up at conferences tends to be over several beers late into the night–so much so that I usually build up my alcohol tolerance before I attend one of these events. The great part about the Beer Blogger Conference is the beer is automatically built into the event! 3. What specifically do you think beer bloggers will learn from your talk? The sites that volunteer to be reviewed will learn the most as they will receive advice specifically tailored to their site that they can go home and chip away at. However, everyone will benefit because I’ll be sharing tips that will likely apply to their own sites as well. I expect my topic will shed light on the intricacies of how to better optimize content & structure of the site, how to choose better keywords, and how to improve SEO offsite via creative inbound linking strategies. I will likely discover issues hampering a site from reaching its full potential, plus help another site in a competitive space improve rankings via creative link acquisition techniques. SEO is fascinating because it is part art, part science. SEO algorithms are highly complex and constantly changing. 4. How will you make sure everyone will benefit, from those bloggers just starting out to those who already are familiar with SEO? I will make sure that the sites that I review have valuable lessons for people with beginning knowledge and advanced. There’s a lot of misinformation about search engines and SEO out there, so even if an attendee thinks they know their stuff, I hope they’ll learn more than they expected. Assuming there is time, I’ll open up Q&A at the end of the talk, or people can grab me anytime during the conference. 5. Why are you interested enough in the beer world to volunteer your time to speak at a beer bloggers conference? Who doesn’t like the topic of beer? My interest in beer grew exponentially since I started working with a company called Beer2Buds. They built a variety of methods for people to send a real beer to friends online to be redeemed at a local bar or restaurant. I love the concept because I can’t tell you how many times someone said to me, “I owe you a beer.” Now they have no excuse not to pay up. Besides my regular SEO consulting practice, I’ve set aside enough time to be their VP of Marketing. The first thing I launched was #BeerFriday giveaways on Twitter. Every Friday we host a fun contest and give the winners free beer. There’s exciting stuff in the pipeline for Beer2Buds, including opportunities specifically targeted towards beer bloggers. Beer is a fun topic and the beer community is very friendly and always in good spirits! I’m excited to be a part of the first Beer Blogger Conference. 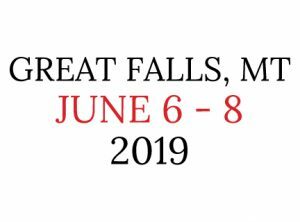 If you are registered for the conference and would like to offer up your site for review by Dustin, please email info @ beerbloggersconference.org. Great interview! Looking forward to seeing you again soon.